Breakfast at Brennan’s. Founded in 1946, Brennan’s opens daily at 9 a.m. with a decadent Breakfast/Lunch menu. 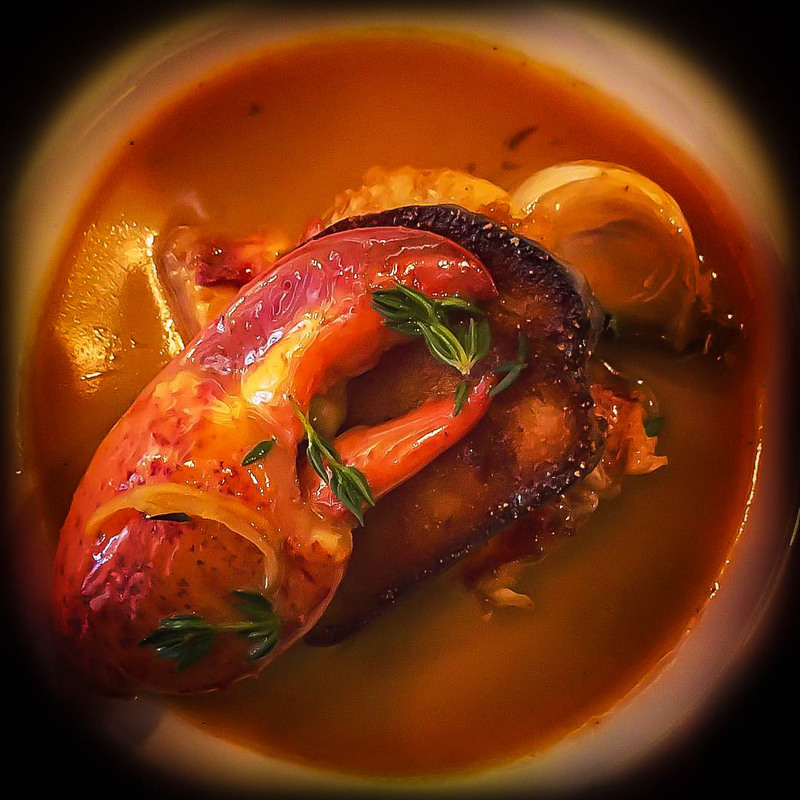 The New Orleans BBQ Lobster is an outstanding starter; one claw and half a tail swimming in Creole spiced butter so richly savory you’ll want to eat it with a spoon. The Eggs Owen is even better, essentially a short-rib benedict, with generous tender meat and two perfectly poached eggs. Three-Martini Lunch at Commander’s Palace. 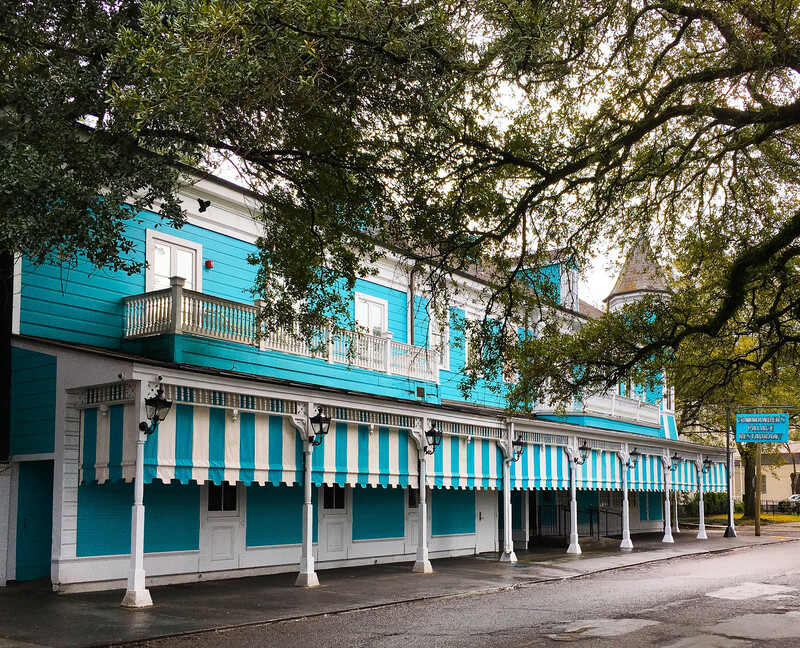 Founded in 1893 by the Brennan family, Commander’s Palace is the kind of place that replaced my white napkin with a black one to match my skirt. And that wasn’t the most noteworthy thing: At a table nearby, two millennials videoed their entire meal with a small camera atop a tripod. But despite its obvious allure, Commander’s offers one of the most unique specials in the Crescent City: lunchtime martinis for 25 cents, with a limit of three per person. To absorb them, I started with the gumbo, easily the best I’ve had, slow-cooked and swimming with fresh seafood. Next I indulged in the Creole Cochon de Lait “Cassoulet”, satsuma-glazed pork shoulder with house-made boudin, atop a white-bean puree so creamy it was almost a sauce. For dessert, I topped all this off with the Creole Bread-Pudding Souffle, perhaps the perfect emblem of French cooking, rich bread pudding made delicate by whipping it into a souffle. And of course delicious. But I could only handle two martinis. Happy Hour at Broussard’s Empire Bar. 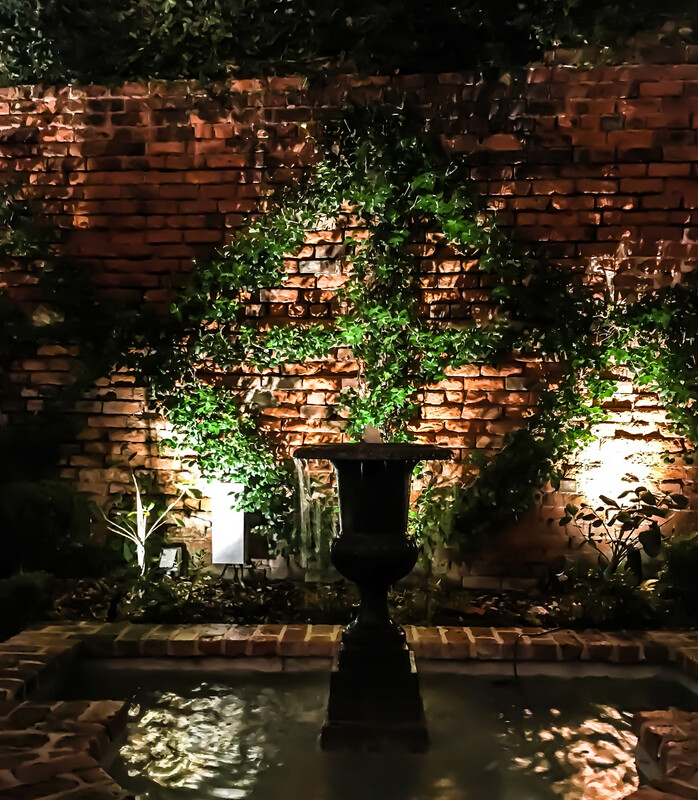 Founded in 1920, Broussard’s lies a little off the beaten path, but it’s worth seeking out. Adjacent to a charming courtyard, the Empire Bar‘s happy hour (4-7) offers $5 small bites, including Frites Fondue, French fries with a crock of tangy Gruyere fondue. Happy Hour at Galatoire’s “33” Bar + Steak. “33” is the casual cousin of the fine-dining Galatoire’s founded in 1905. Happy hour (5-7, M-T) offers standard drink specials. 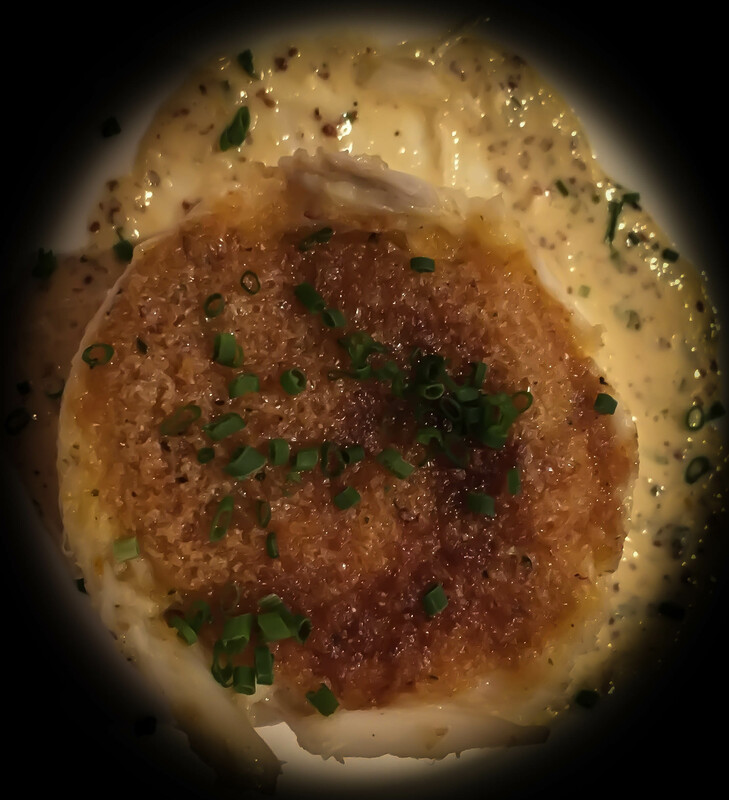 But even though it’s not on the happy-hour menu, the Louisiana Jumbo Lump Crab Cake is what lures me in, thanks in no small measure to its creamy Crystal Remoulade. Happy Hour at Antoine’s Hermes Bar. Founded in 1840, Antoine’s years ago converted one of its dining rooms into the Hermes Bar, which offers similar happy-hour (4-7, M-F) drink specials to Galatoire’s. Also like Galatoire’s, my favorite dish there isn’t on the happy-hour menu either; in fact, it’s not on the menu at all. 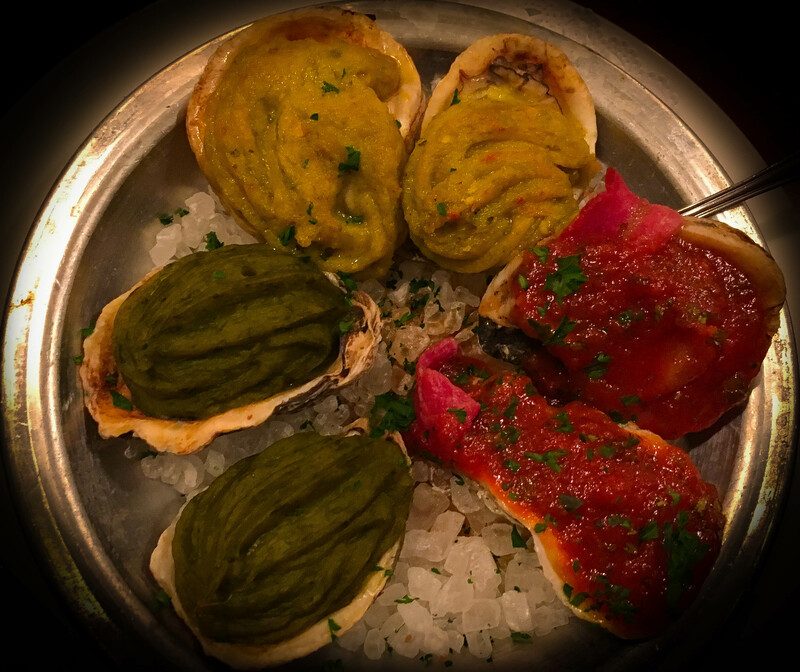 But just ask for the 2-2-2 oyster trio, and you’ll receive six oysters, two Thermidor, two Bienville, and of course two Rockefeller, invented at Antoine’s. Back to Brennan’s for Dessert. How did Brennan’s get to bracket the day? With the one thing that’s better than the Eggs Owen: Bananas Foster, the restaurant’s own creation. 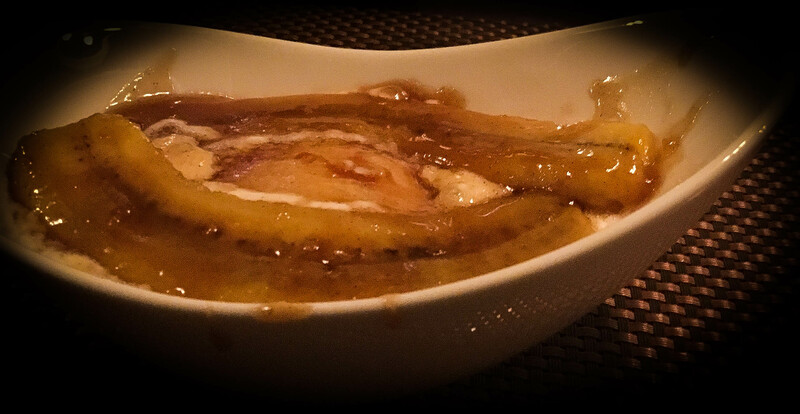 Two bananas, in a sweet and spicy rum sauce, flambeed tableside, and served over vanilla ice cream. Want to take the recipe home? Ask for a to-go cup, and enjoy your nightcap as you burn a few calories walking through the French Quarter. New Orleans allows open containers. A note on dress: New Orleans is a very formal city. Even at places without dress codes, most diners are well turned out in smart casual attire at a minimum. You will feel much more comfortable if you leave the shorts and sneakers for your fitness activities. A dress or a skirt or pair of dress slacks with a cute top and a jacket or nice cardigan makes an appropriate basic outfit. Keep in mind that New Orleans is usually hot and wet, but can be cold and wet during winter, and pack coordinating layers. You will also want nice pumps and sandals and/or boots that are comfortable for walking on uneven sidewalks. I highly recommend Munros.